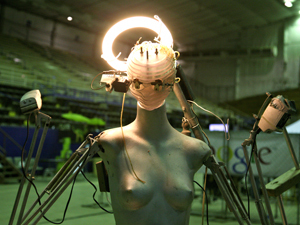 This combo of projection mapping, robotics and performance art has us amazed. Produced by Box & Dolly, a design and engineering studio out of San Francisco, this trippy must see piece has a simple name but makes up for it in awesomeness. A quick inside tour of how the new Mac Pro is built for fans of manufacturing, design and Apple products. This look at the assembly line is equal parts futuristic and PR move by Apple, who is trying to establish that it is working on bringing jobs back to America, though robot to human workforce ratio unknown. Filed Under: Nation of Billions Tagged With: apple, automation, change, computer, creative, creators, design, future, hardware, innovation, jobs, mac pro, machine, manufacturing, productivity, robotic, shift, society, software, sound design, tech, technological revolution, technology, thinking, u.s. The 3D Printshow 2012 just took place in London this past weekend, check out this recap from the event for a look at some of the design ideas 3D printing is being used for. 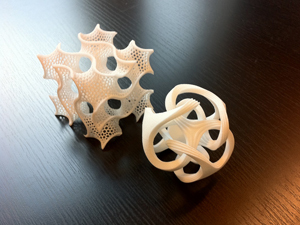 Whether it’s for creative applications or more practical scientific uses, there is no doubt that 3D printing is a game-changer, this technology is on the rise and becoming cheaper and more accessible for everyone. Ever wish you could ‘beam yourself’ somewhere? Well, now you kinda can. Suitable Technologies, a company out of Palo Alto, California is introducing what they call the Beam Remote Presence System [RPS]. 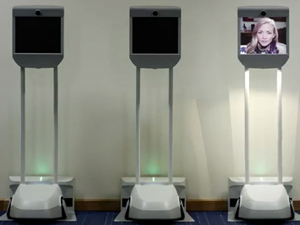 Beam enables individuals to travel instantly to remote locations using videoconferencing on a mobile platform that provides a real physical sense of presence, while eliminating travel costs. World Maker Faire takes place this weekend at the New York Hall of Science [NYSCI] in Queens on Saturday, September 29th and Sunday, September 30th. This event will feature over 500 exhibitors, showcase presentations and how-to workshops from the leaders in the maker movement, talks from DIY experts and industry leaders, and opportunities to learn specific making skills. Inspiring and fun for all ages, this event will get you excited about the possibilities of making.